Awesome Kite Surfing Destinations around the World | Am I Nearly There Yet? 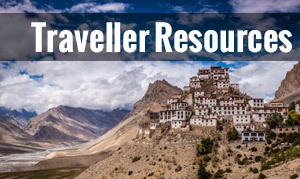 Calling all thrill-seekers and fans of adventurous sports! 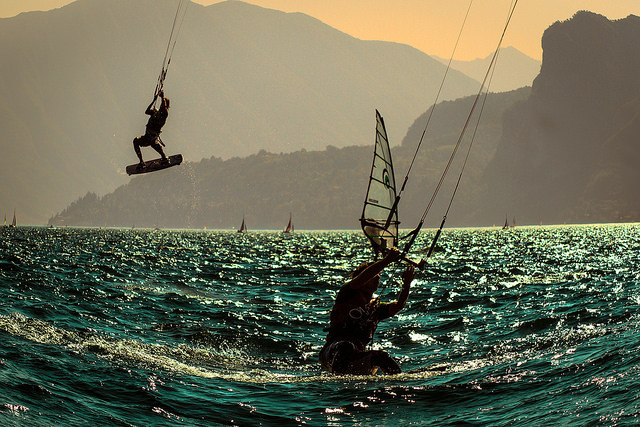 Are you addicted to the rush of kite surfing? If so, don’t miss some of the best kite surfing destinations around the world! It takes more than a gust of wind to produce the perfect kite surfing conditions. Of course, you do need wind, but that’s just a part of it … other factors to consider include the sea conditions, what the weather’s like (do you really want to be on the waves in the rain?! 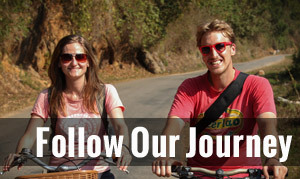 ), availability of equipment and other amenities, community spirit, and the overall vibe. A delectable tropical paradise, famed for its dazzling beaches, volcanic landscapes, and interesting culture, Hawaii is also an amazing destination for kite surfing fans. With year-round trade winds, you can hit the waves here at any time. 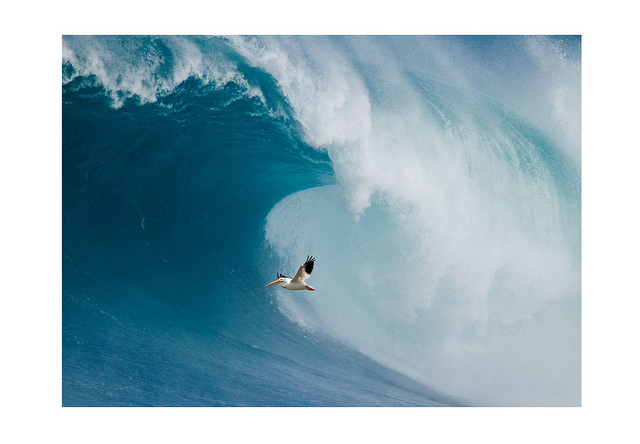 Winter, however, offers some truly giant waves, and the strongest winds are in the spring and summer months. With warm weather all throughout the year and plenty of activities to keep you entertained on dry land too, it’s no wonder than many kite surfing enthusiasts dream of Maui! Boracay’s White Beach attracts a plethora of tourists, all keen to enjoy the legendary soft pale sands and the party vibe that the area is so well-known for. On the other side of the island, you’ll find some great kite surfing sports too. The winds help to create the perfect conditions, and the chilled out vibe encourages many to come here, meet like-minded people, and harness the power of the wind and the waves. Each year, Cabarete in the Dominican Republic plays host to the biggest kite surfing competition across the globe. Held in the third week of June, it attracts enthusiasts from all four corners of the world. 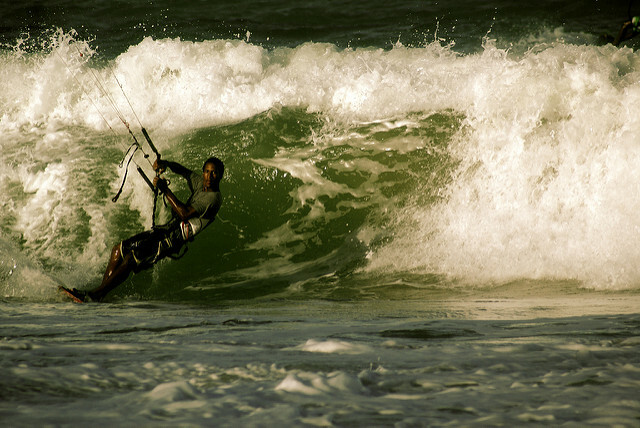 At other times of the year, Cabarete caters to a range of kite surfers, from beginners to pros. The sheltered bays are ideal for novices who are starting to find their sea legs, and the large rolling waves provide plenty of excitement for advanced kits surfers. And when you’re not on the water? 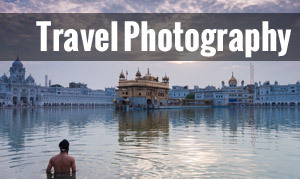 Enjoy the sandy beaches, the delicious cuisine, the local culture, and the nightlife! There are various places along the coast of Egypt’s Red Sea that offer good kite surfing opportunities. Steady thermal winds and pleasantly warm waters help to make this a sought-after spot. Some of the most popular locations include Soma Bay, Nabq Bay, El Gouna, and Ras Sudr. Grab your shorts and have fun in the sun! When you’re not kite surfing you can relax those tired muscles on the beautiful beaches, or perhaps enjoy a different perspective of the ocean with some top-class snorkeling and diving. Tropical sandy beaches that are fringed by leafy palm trees that provide plenty of shade, Mui Ne is a lovely little slice of paradise. The enormous sand dunes boast varied colours of sand, with kilometres of striking red, yellow and white. Sand boarding and dune bashing are popular here. But, you’re interested in kite surfing, right?! 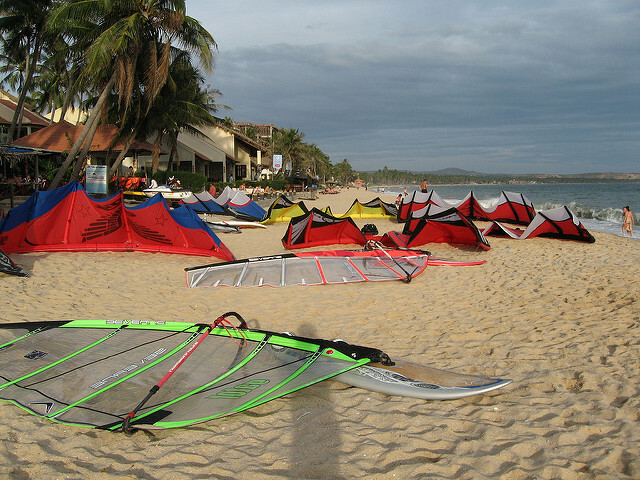 Don’t worry – Mui Ne is a top destination for kite boarders, attracting fans of the sport from far and wide. Pack your gear and your sense of adventure, and head off to one of these terrific kite boarding destinations for the ride of your life!